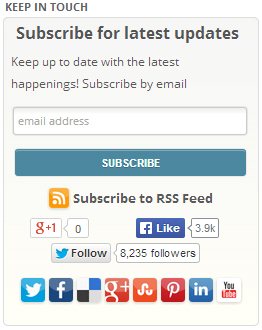 Advanced Social Widget FeedBurner Edition is an all-in-one social networking widget plugin that allows your visitors to subscribe to your RSS feed, Follow you on Twitter, visit your Facebook Page and easily share your site, categories & posts to the major social networking sites. 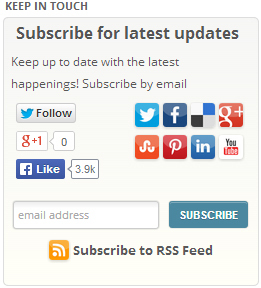 You can define what Social Networking site icons & buttons you want to display. 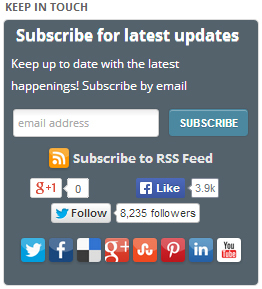 Visitors can Follow you on Twitter, Follow you on Pinterest, submit posts to LinkedIn, subscribe to your FeedBurner RSS Feed and view your FeedBurner RSS Feed. You can also define the width of the widget making it suitable for most available WordPress themes without having to get in change any code. 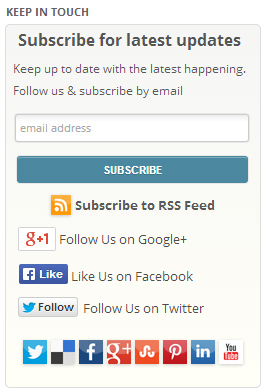 Shortcodes are included to easily place the widget inside your pages or posts. 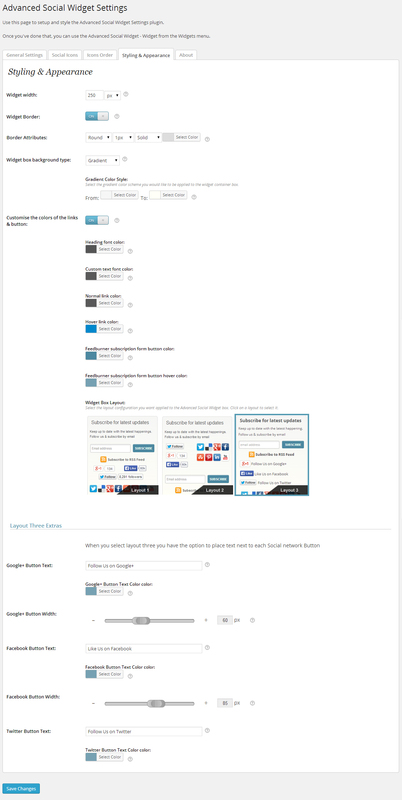 6 different Feedburner subscription form layouts. 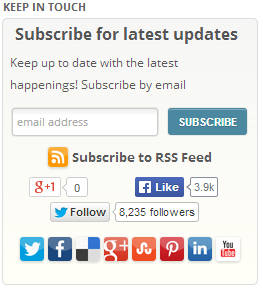 Dynamic Google+1 features & follower count. 4 different Google buttons variations to choose from. Ability change all the visual aspects of the widget including text, link and subscription button sizes & colours. 12 predefined pattern backgrounds & unlimited solid colour and gradient colours to choose from. Ability to customize the link and button colours. 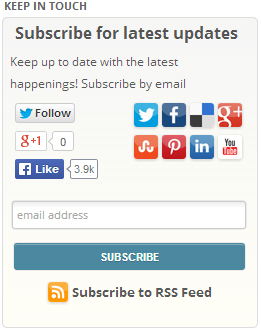 If you have a FeedBurner RSS feed, you can allow your visitors to quickly and easily subscribe to your RSS feed. 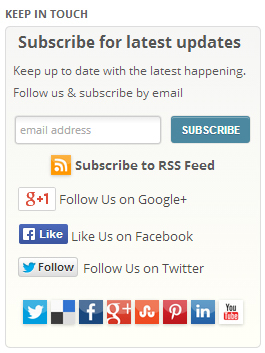 All the visitor needs to do is enter their email address and click the “Subscribe” button. A window will be opened where the visitor can subscribe to your feed. 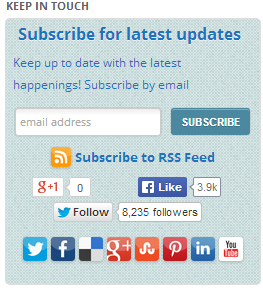 Included is the ability to drag & drop the Social Networking icons into any order you desire. Display or hide individual icons. 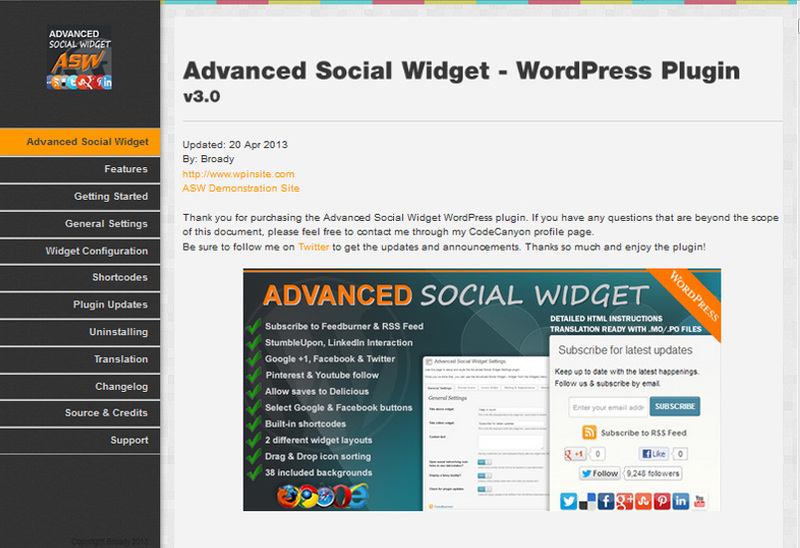 Upload the the plugin folder “advanced-social-widget” (not just the files in it!) to your `wp-content/plugins` folder. If you’re using FTP, use ‘binary’ mode. 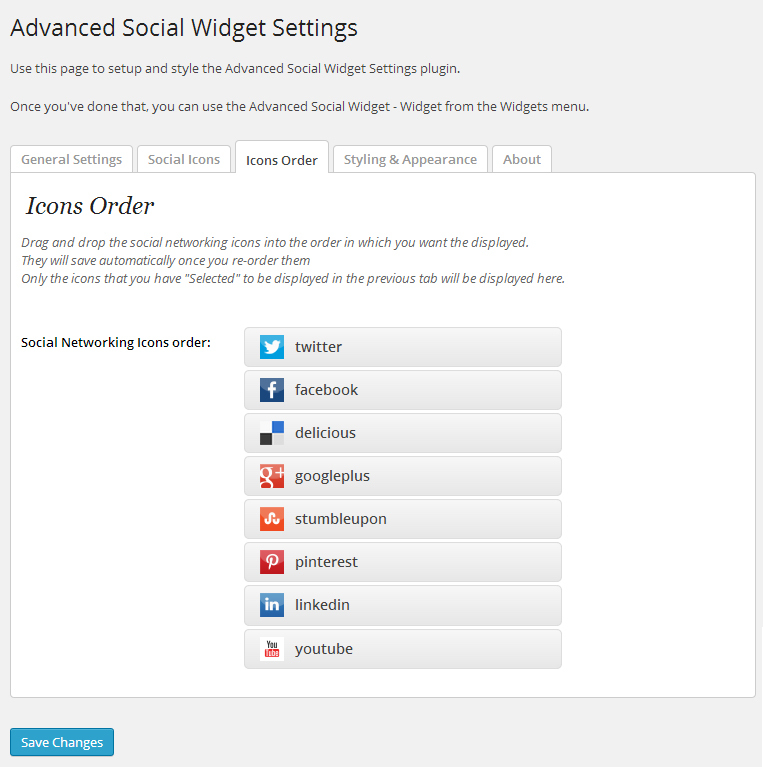 Navigate to the WordPress Dashboard widgets page, drag the “Advanced Social Widget” widget onto one of your WordPress theme sidebars.